The giant windows and extra space help alleviate the stress of leadership. Help your boss decorate that office. 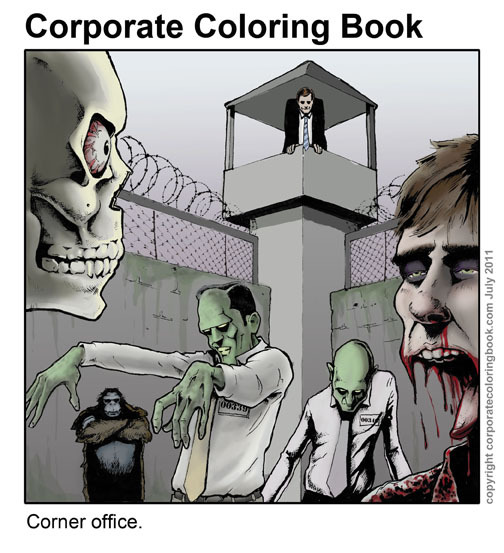 ← Corner office – Color your own!